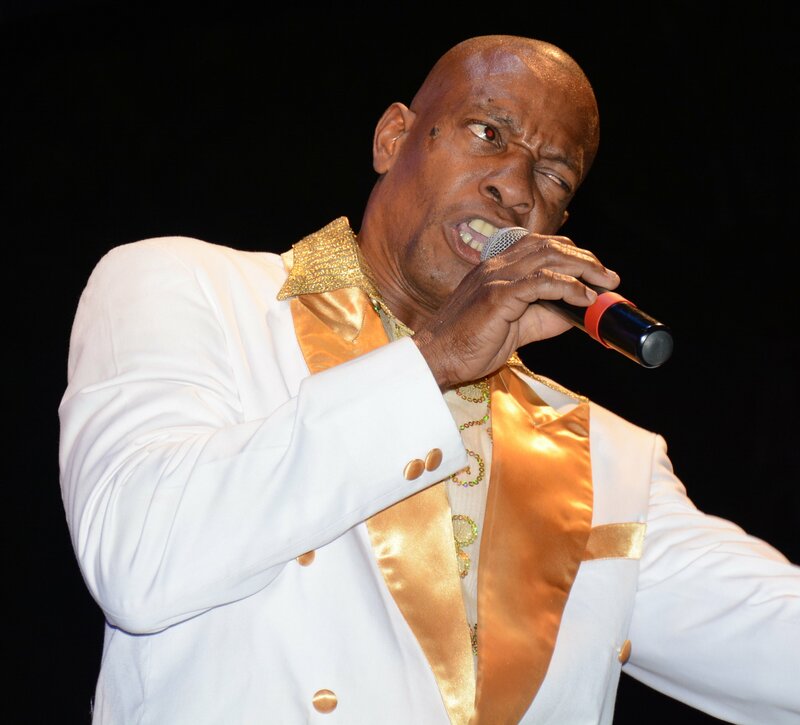 NINE-TIME Calypso Monarch Dr Hollis "Mighty Chalkdust" Liverpool did not advance to the final round of the National Calypso Monarch 2019 competition, but "Tobago Chalkie" will be vying for the title — one which he has never won. The singer, born Alex Gift, was among the 15 contestants selected for the finals on Thursday in the Carnival show dubbed a Night of Champions. They will face off against defending champion Helon Francis. Immaculately dressed and with a binocular around his neck, Gift performed at Skinner Park in San Fernando on Saturday at Calypso Fiesta — the semifinal round of the competition. In his nation-building song Travel Advisory, Gift invited people to visit TT and satirically cleared up social ills which seemed to spur advisories. "All we politicians not corrupt, it's just some small bad habits from small they adopt. And although this country has no more oil money, sweet TT is the place to be," Gift sang. He is one of nine finalists who are hoping to win the title for the first time. Alana Sinette-Khan, Anthony "Allrounder" Hendrickson, Dawren "Pharoah" Greenidge, Erphaan Alves, Joanne "Tigress" Rowley, Maria Bhola, Stacy Sobers and Young King 2019 Renaldo London have also never won the competition. Roderick "Chucky" Gordon won the competition back to back (2014 and 2015). His 2019 song El Muro (The wall) makes light of the US-Mexico border wall issue. With an actor depicting US president Donald Trump on stage, Gordon hilariously gave his take on the issue. "Like he could press a red button and make we bawl if this mad man cyah construct he wall. He want he wall. Trinbago could bawl." Each of the five other finalists – veteran Winston "Gypsy" Peters (1997), Karene Asche (2011), Duane O’Connor (2012), Kurt Allen (2010) and Devon Seale (2016) – has won the competition once. Effortlessly, Peters sang the political commentary When Elephants Fight showing his vocal prowess much to the appreciation of patrons who cheered for the National Carnival Commission chairman. Asche in Loco and Broko, gave a stinging satire on the influx of Venezuelans in TT. She warned TT men to be on the alert as "payols" can hook them like "a mook". "So men since you love your Spanish, learn these words before you end up dotish. Dinero is money, por miel for honey, dos anos in two years, lagrimas you will shed tears." With an upbeat rhythm Seale sang Two Face, telling the grateful audience of the proverb — Not all skin teeth is smile. People are mauvais langue and two-faced, he said. Some people "will swear on the bible and say you are their horse and partner but soon like the Devil they show their true colour." Allen sang Wha Yuh Say and O’Connor, Respect. Two crowd favourites not selected for the finals are Liverpool, also called Chalkie, and Robert "Mighty Trini" Elias. The reserve is Allison "Warrior Empress" Bernard who sang The You in You. Reply to "Tobago Chalkie in, Mighty Chalkie out"